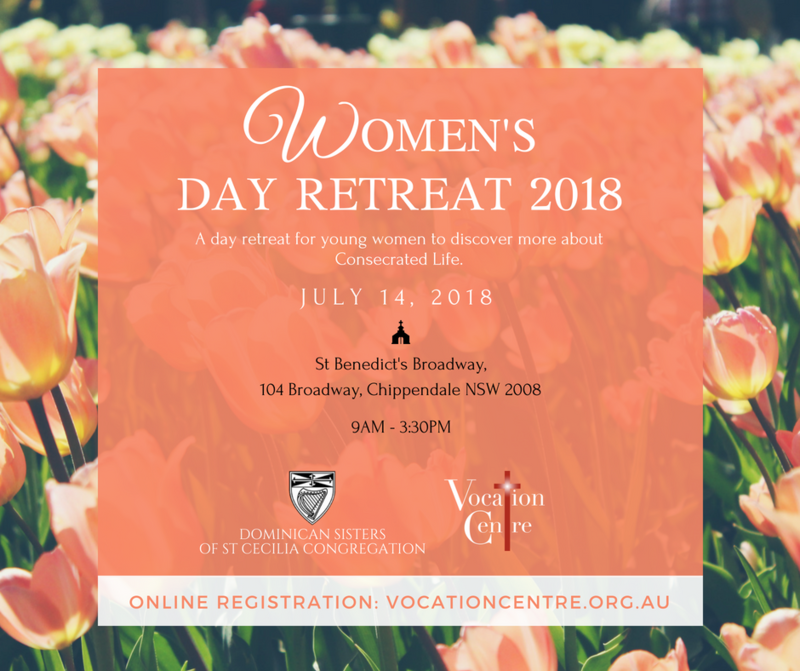 We are delighted to invite you to our Women’s Day Retreat 2018, a day for young women to discover more about the Consecrated Life. 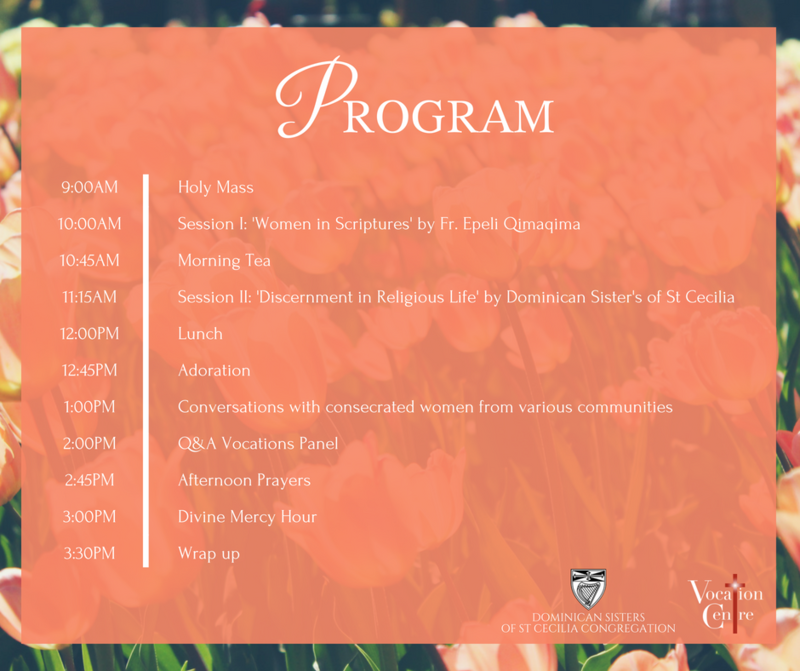 This day retreat will be an opportunity for young women (Single – 18 to 35) to meet and have conversations with consecrated women from various communities. You will also have time for silent prayer, confession and adoration during a Holy Hour. ~ Organised by the Dominican Sisters of St Cecilia and the Sydney Vocation Centre.